Let’s face it, no one likes moving home. But our dislike for moving doesn’t change the fact that it’s often a necessary part of adult life. In fact, around 36 million Americans move home every year. That’s just under one in every eight people. Yet, despite most of us having experience of moving homes, we all make the same mistakes time and time again. Often, these errors are the result of poor planning or a mistaken belief that we have far fewer possessions than we realize. To ensure that your next move is less stressful and more successful, here are some common moving mistakes and how to avoid them. Unless you’re having to move at the last minute due to unfortunate circumstances, you need to start on the planning process as early as possible. And by early, we mean several months in advance. If you’re moving at a busy time of year, you’ll need to book your moving company months beforehand. Then there are added considerations, such as notifying utility companies and the postal service of your new address. Start a checklist as soon as you know you’re moving homes and add tasks to it as and when they crop up. It also helps to note down when the items need to be done. This way you will know when to get started on time-sensitive tasks. You might think that you know how to move a household since you’ve moved a few times before. But there’s a big difference between moving as a single adult and moving as a family. The more of you there are and the longer you’ve lived in your home, the more stuff you will have accumulated. This is why a pre-move clear out is always vital. A month or so before you move, start sorting items into things you want to keep, things you want to get rid of and things you’re unsure about. A couple of weeks later, review the ‘unsure’ items. If you haven’t used them, they go. You should then donate or sell all your unwanted clothes and other items to save yourself the time, effort and expense of packing and transporting them come moving day. Depending on how far you’re moving and how much stuff you have, it might make sense to do it yourself. But in most cases, moving homes requires the services of a professional moving company. That’s because, as well as saving you from heavy lifting, removal companies provide the peace of mind of liability and insurance. Many moving companies also include added extras, such as furniture reassembly and packing services. And, as professionals, they’ll be able to estimate the time, vehicle size and number of people it’ll take for your particular move much better than you. When hiring a moving company, make sure you’re hiring professional movers and not entrusting your worldly possessions to a couple of guys with a van. Read online reviews, ask friends and get several quotes before choosing your moving company. Most experts agree that you should get three estimates before making a decision. Check that all your contenders are fully licensed and insured and ask about hidden extras, and then choose the company whose price and service best matches your needs. You might have found a reputable moving company at a good price and with a guarantee of no hidden extras. But, although they might be experts in how to move from one house to another, there may be reasonable exclusions in their contract. Most removal companies won’t be held responsible for expensive items, such as jewelry, or potentially dangerous items such as firearms. You should also check whether they have any rules about what they can and can’t transport. For example, some removal companies aren’t covered to transport items in garbage bags and require you to put even soft items like cushions in boxes. By checking their rules thoroughly before moving day, you’ll save yourself from a lot of wasted time and unnecessary stress. When your life is reduced down to cardboard boxes, there’s nothing more frustrating than not knowing what’s in which box. Taking an inventory while you pack ensures that the unpacking process will go a lot smoother. To help your future self, you might number the boxes, use color-coded tape or simply write what they contain and which room they need to go in. This way you can save yourself from having to open everything and lug heavy boxes from room to room. And, by following packing tips like these, it’ll also be easier to access more useful items. While you’re busy color-coding and labeling your boxes, it’s not uncommon to get carried away and end up packing your kitchen in one box, your bathroom in another and so on. While this tactic is fine on the whole, there are certain essential items that need to be packed together in a box of essentials, also known as the ‘survival kit’ of how to move houses. This kit should be full of essentials that you’ll need for the first few days and nights in your new home. Although specific items will be different for everyone, these kits typically contain toothbrushes, pajamas, medicine, scissors, a kettle, basic food supplies, bed linen, towels, and toiletries. With all the planning and worrying when moving, it can be easy to make moving mistakes like forgetting that your pet is moving home too. Visit the vet before moving day to make sure your pet has all its current shots, certificates and ID in order. If your move involves a flight or a long car journey, ask your vet about travel recommendations, motion sickness medication, and the best pet transportation equipment. You should also make sure you have all your pet’s papers within easy reach throughout the move, especially if you’re crossing state lines. Although all of us have probably made some, or maybe even all, of these moving mistakes at one time or another, all it takes is a little forward planning for a mistake-free move. Sure, unexpected problems can still crop up, such as a freak snowstorm or a broken elevator at your new apartment building. But, by planning for the things within your control and hiring professionals to help you out, your moving day will be a lot less stressful than it could have been. 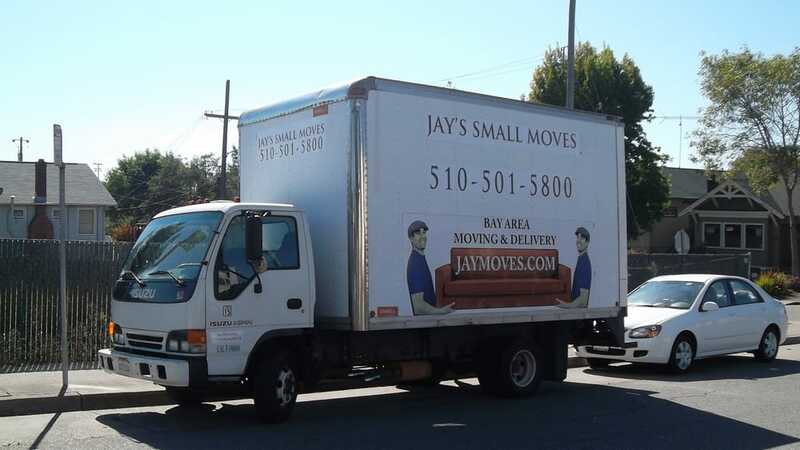 For more information about our moving services, contact us today!